As someone who has bought Minecraft on almost every platform, including Xbox 360, Xbox One, PC, and tablet, it’s safe to say that I’ve had a fair bit of experience with the game. 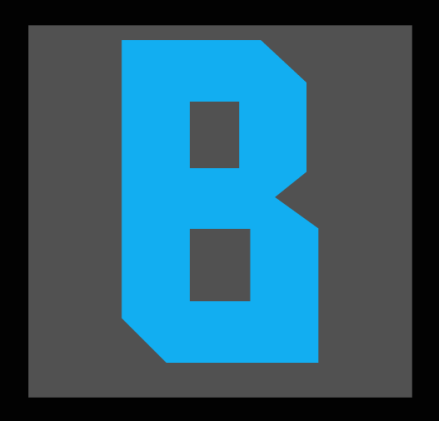 After sinking hundreds of hours into the block based game back in its beta stage on PC, and sinking thousands of hours when it first dropped on 360, I was convinced I’d seen everything there was to see in that game. I’d experienced every biome, mastered redstone wiring, and successfully conquered the Nether and the Ender Dragon. I felt comfortable after all the time I put into making my expansive kingdom that I had gotten my fill of the game and could walk away from it. You can imagine my indecision then when I saw that Minecraft was available on the Nintendo Switch store, for $30, and that it contained a unique Super Mario Skin Pack and online functionality. After several seconds of toying it over in my head, I immediately bought the game for hopefully the final time, and booted myself into a randomly generated world yet again. I’ve got to say, Minecraft on Switch might be one of my favorite gaming experiences in a long time. If you haven’t played or at least seen someone play Minecraft at this point, you probably have no touchstone with popular culture for the past five years. Minecraft can best be described as a game based around digital Legos, where players build, create, destroy, and adventure all over randomly generated worlds full of possibilities. Everything is left up to a person’s imagination, and the game can be as tame or as challenging as one desires. There are four difficulty modes, the easiest turning off any kind of enemies and removing the hunger mechanic in the game, while the hardest causes all sorts of spooky monsters to come out when the sun goes down and it becomes harder to keep your character’s stomach full. Players start with literally nothing but a map in their hands, and go from chopping down trees to make wood to having an inventory full of tools, a highly complex house, an assortment of farms and pets, etc. Minecraft has been proven to be great for children to play, as it allows them to think, build, and express themselves in very complex ways, in an ironically simple seeming game. 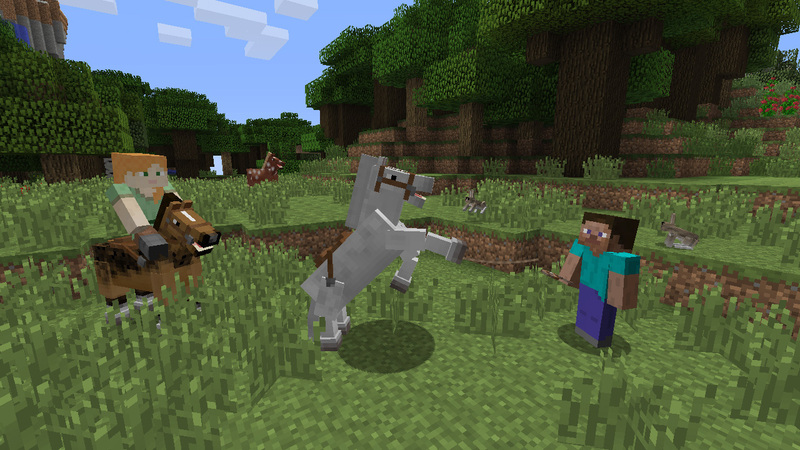 The beauty of Minecraft after all these years is that it has slowly built on top of itself with every single update, adding in new mechanics, animals, and ways to play, which has allowed the community to grow with it. The Nintendo Switch version however, immediately starts with the most recent console version of the game, meaning that you get the best version of the game to exist, all bugs sorted and all menus streamlined for maximum efficiency. I was surprised how much Minecraft had updated when I just started playing again now, and I only stopped about a year ago. If you haven’t touched Minecraft since the old PC or 360 days, then I highly recommend hopping back in because the game has changed significantly. One of my favorite new changes is the addition of “mini games”, which are multiplayer online or local challenges that allow players to fight with or against each other in short bursts. It’s incredibly fun, and since the Switch version doesn’t allow voice chat, there’s no danger of a younger person getting into an awkward conversation with a stranger or an older person having to deal with a screaming 8 year old over the mic. Lastly, coming from Xbox, I’m a huge fan of achievements, and while the Switch doesn’t have a built in achievement system, Minecraft does, which means that upon loading the game and popping your menu, there’s a whole list of goals to accomplish on your upcoming journey. To be expected, Minecraft runs at 720p on the Switch, but this didn’t cause any issues for me for multiple reasons. 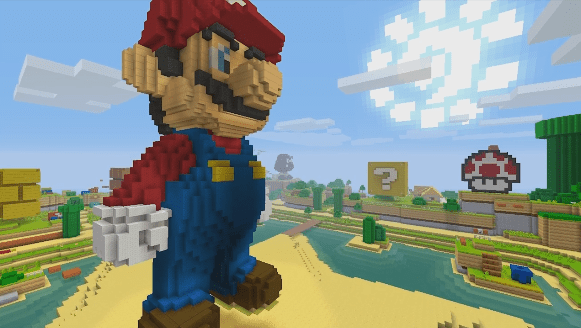 Minecraft’s intentionally simple block based graphics have always looked charmingly bad, and that fits perfectly fine on the Switch. Whether I was docked into my TV or on the go, I saw no change in graphics or performance, which is the most important thing, as when I play on console the only thing I care about is the game working. The last thing I’d ever want is to be mining around some lava in a cave, or fighting a horde of skeletons in a nether fortress, and have my game drop frames and lag on me. I’ve had no issues with the Switch version, and I’ve not only played it for extended periods of time already both plugged in and portable, and I haven’t had as much as a slow down in the game, which other games reportedly experience every now and then. As always, Minecraft’s soundtrack is charming and peaceful, and with the Switch’s headphone jack I found myself bumping up the volume and zoning out to the cute medleys the game provides. Everything seems to be exactly as I expected with this version of the game, which is more than the Pocket Edition or even early builds of the 360 version could say. Of course, draw distances could be longer and load screens could be a little shorter, but aside from that Minecraft is still Minecraft, which is more than enough. I did want to touch up on the experience of playing on the Switch, compared to playing on other consoles or mobile. I feel like the Switch was the console I was waiting to play Minecraft on this entire time, as whenever I played it on mobile or tablet I yearned for a controller, and whenever I played on Xbox I wished I could take my world portable or even play the game handheld and use my TV to binge a Netflix series or some other task. The Switch really is the perfect compromise, as I find myself taking the game handheld everywhere, doing some mining or farming during car rides and while waiting in long lines. Something I also highly enjoy is the screenshot button on the Switch’s left joycon, which allows you to screencap and save a moment to your gallery, which you can then edit and share with friends. For a game centered around building and creativity like Minecraft, I see this being a great feature for young and older minds alike. The Mario skin pack that comes with the game genuinely contains almost every Mario character you would want to play as, along with a Super Mario texture pack and a Super Mario world, that was actually incredibly cute, containing large statues of Mario characters and little platforming puzzles to complete, with the classic Mario Music and green pipes to top it all off. Considering that well done Minecraft skin packs like Skyrim cost $5 on the store, you can look at buying Minecraft on Switch as a $25 purchase with a $5 Mario pack bundled in. All that said, I enjoyed the way Minecraft controlled in each Switch control variation, whether had the joycons in both hands while docked in, using the joycon controller grip while portable on a kickstand, or doing the traditional handheld playmode while on the go. The game controlled just as well in each mode, and I was able to consistently get a gaming fix fulfilled at all times thanks to this purchase. Honestly, I’m not sure if I would have ever touched Minecraft again if I hadn’t gotten it on Switch, but now not only am I back into it, but I’ve rediscovered the game’s charm, which is thanks solely to the power of the Switch. I can’t express enough how much I’ve enjoyed my time with Minecraft on the Switch. I highly recommend that Switch owners think about buying the game, whether or not they’ve touched Minecraft before. For veterans, the versatility and reliability of the Switch, along with the Mario pack breathes new life into the game, and might be enough to get you hooked back in. For newbies, be prepared for one of the most fun and pure gaming experiences of your life. Minecraft is as popular as it is for a reason, children can have endless hours of fun building to their heart’s content and learning how to master nature, and adults can find fun in the world’s escapism, the level of control you can exert over a digital realm, and the scary amount of depth that comes from the game’s later mechanics. 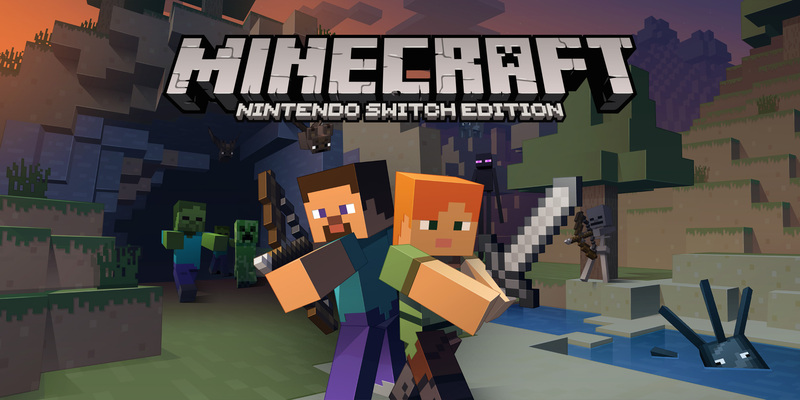 Minecraft is going to be the game on Switch that you keep going back to, after you complete whatever Nintendo’s most recent AAA title is or after you hit a wall on the most recent 3rd party JRPG. 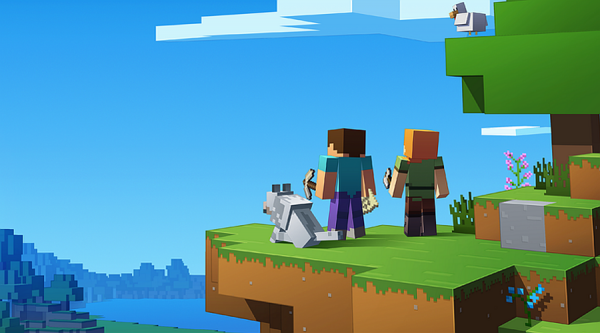 Unlike those games, Minecraft has no end, and for only $30 you can have one of the best gaming experiences yet released. I can’t recommend this to people enough, Minecraft on Switch is worth the investment. Posted in Nintendo, Reviews, Switch.Tagged Bermansplaining, Games, Gaming, Gaming Review, Minecraft, Nintendo, Nintendo Switch, Review. ethan, have you seen the dark tower yet???? im going tues. wanted to check your opinion……real old papa art…. Previous Post Are We Going to Go to War With North Korea?